Most garage door injuries are caused by faulty springs. 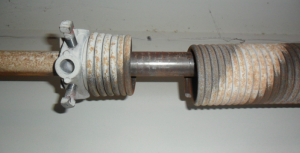 Unlike what you may have thought, it is not the garage door opener that lifts your heavy garage door, but rather the torsion springs of the door. Due to gradual wear and tear, these springs can become rusty and break down, causing the garage door opener to struggle lifting the door’s weight or fail to open the door altogether. Torsion springs can be extremely dangerous to work with, so you should not attempt to replace them on your own if you don’t have the proper equipment or knowledge. Instead, seek professional help. 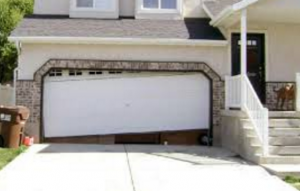 A garage door that falls down too fast upon release can pose a great injury risk to the people opening and closing it. This issue is usually caused by a broken cable, or an extension spring that’s overly loose or broken. If you notice this problem, contact a professional to replace the cable or extension spring as soon as possible to avoid getting injured. Garage doors are designed with a safety mechanism that pulls them back to prevent them from crushing objects in their path. So if you’ve noticed that your door reverses before it reaches the ground, you should check and clear any objects (e.g. 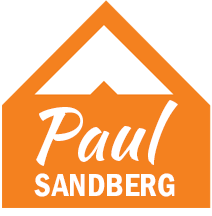 dirt, debris, gum, coat hangers, garbage cans, toys etc.) on the ground or rails that may be preventing the rollers from moving forward. In addition, this problem can also be caused when the garage door sensors are dirty or misaligned, in which case they should be cleaned, adjusted or replaced by professionals. For your garage door to move smoothly, the metal track where it runs needs to be aligned correctly. A track that is bent or misaligned can cause your garage door not to open or close properly. An expert will either straighten the bend or replace the track altogether depending on what is necessary. A dead battery in your garage door opener may also contribute to this problem, so check the opener to make sure that it is powered up. A garage door that opens and closes at random times, even when you’re not home, can be really disturbing. But before you think of ghosts, you may want to consider checking your transmitters to ensure that they’re not stuck on something that unintentionally depresses their control mechanism. For instance, they can be in the dog house, or under piled papers on your car seat. In addition, it’s also possible that you’re sharing the same transmitter frequency with one of your neighbors, making your garage door to open when they open theirs. So, you may want to test your transmitter’s frequency as well to find out if you’re sharing it or not. If your garage door makes loud screeching noises when it’s opened or closed, it could be due to lack of lubrication, or dirt and debris in the track. 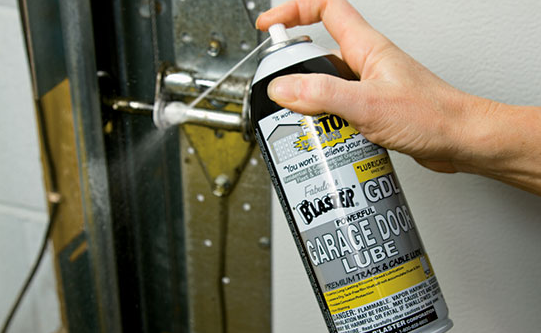 So, use a gentle cleaner to clean the whole track where the door wheels run to remove debris and dirt, and lubricate the door tracks, hinges and rollers using lubricants specifically designed for garage doors. After that, check if the problem is solved by running the door up and down a couple of times. As much as we would love to, remote garage door openers don’t last forever unfortunately. Most of them will malfunction after being used for some time causing your garage door not to function properly. Investing in a quality opener will go a long way in increasing the resale value of your home, as well as preventing you from being locked outside. If you’ve noticed any of these issues on your garage door, you need to call a professional garage door company in your area to get them fixed as soon as possible to keep your family safe.